Few people make it to the end of their life without being wounded. For most, the wounds are not fatal. Becoming skilled at hiding our wounds is a badge of honor in American society. Some wounds, however, cannot be hidden. Some wounds can only be worn on the outside. Metalhead is the story of a woman who bears such wounds. Hera (portrayed by Icelandic actress Thora Bjorg Helga) is a woman who daily rages against the pain caused by the loss of her brother in a farming accident. Even years after his body has been returned to the earth, Hera finds herself unable to function in normal relationship with her family or the community she is a part of. Every member of her family is still reeling from the death as well. Time has simply not brought healing to their wounds. Blame battles against grief just below the surface. Hera’s father has retreated to a fortress of solitude and silence. Her mother initially turns to her husband for comfort but when he is unavailable, turns to anyone nearby. The darkness of life and death hangs over the family until the arrival of a new priest in the community. In the priest, Hera finds an unlikely ally. He, too, is a deeply committed fan of the black metal music Hera is finding comfort in. Rebuffing her mistaken assumption that the best thing she has to off him in return for his friendship is her physical intimacy, the priest defies all stereotypes we fear he will fall into. In the end, Hera finds healing and redemption through the love of family, community, and art. Woven together with beautiful metaphors about blood, sheep, and slaughterhouses, Metalhead is the most fair and honest look at the role people of faith carry, in responsibility to each other and their community, that has graced screens in sometime. The community of believers here are not perfect but they demonstrate something transcendent in the way they live, love, and die together. As the priest tells Hera, “God can also be found in the dark.” Fortunately, his statement rings as true for them as it did for me, sitting in the darkness watching the film. 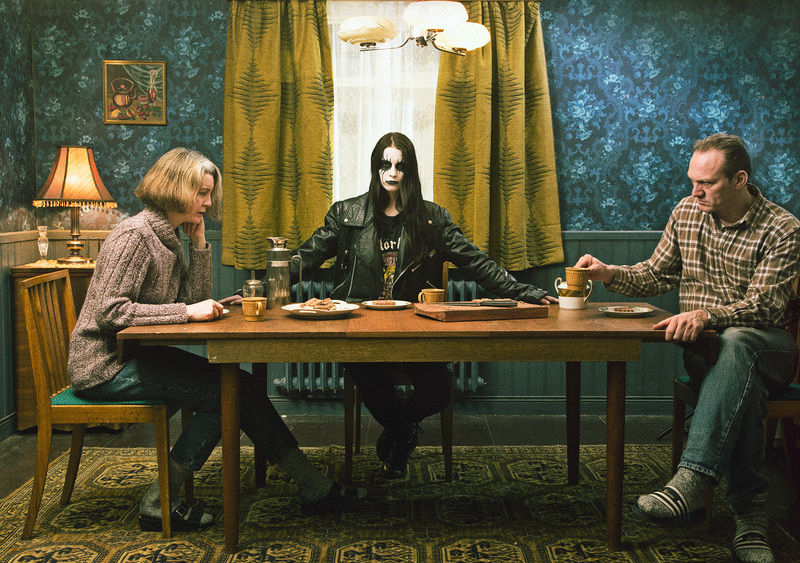 For my in-depth interview with the director of Metalhead, Ragnar Bragason, click below.